AVE! FIRST PHOTOS ARE HERE! Years have passed since I've first announced that we will be getting a new Roman period epic series and now, after centuries of wait, we've got the first pictures from BRITANNIA epic series that will air at British Sky One and Amazon in the United States sometime later this year! 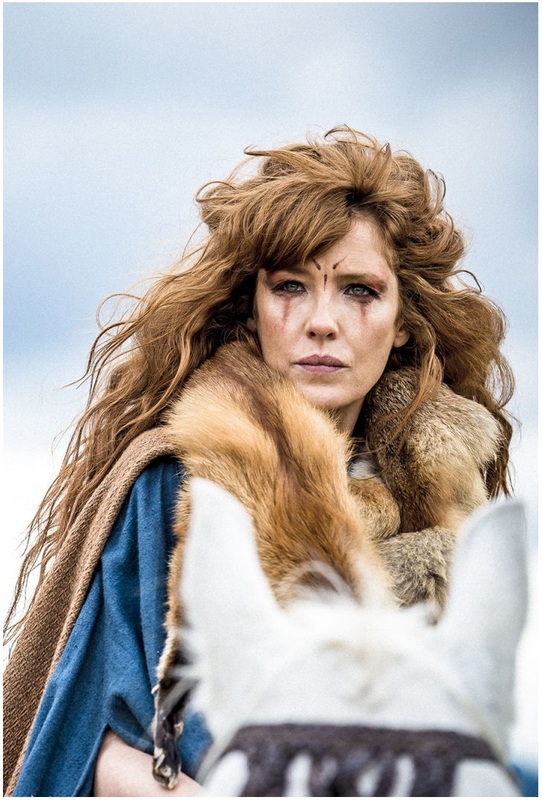 Kelly Reilly, Stanley Weber and David Morrissey lead the cast of this ten part series which was shot in Wales and Czech Republic. I truly hope we get some kind of trailer soon! 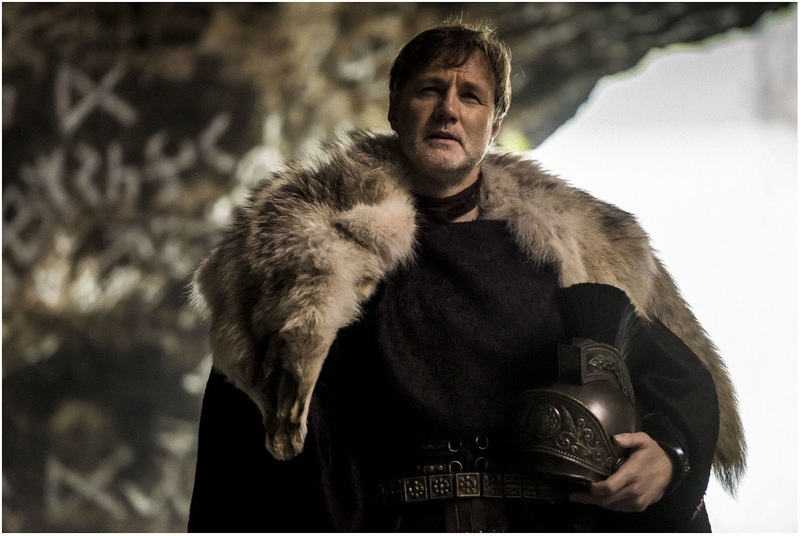 BRITANNIA is set in 43 A.D. and charts the Roman invasion of what would become Great Britain. 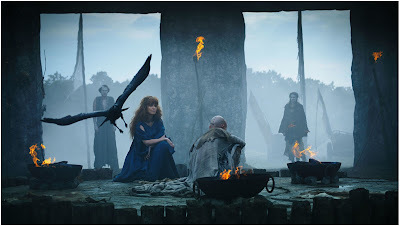 The determined, yet terrified, Roman Imperial Army returns to crush the Celtic heart of Britannia, a mysterious land ruled by wild warrior women and powerful druids who can channel the forces of the underworld. Kelly Reilly and Zoe Wanamaker play arch-rivals Kerra and Antedia who must set aside their differences to combat the invasion, led by the towering figure of Aulus Plautius (Morrissey). 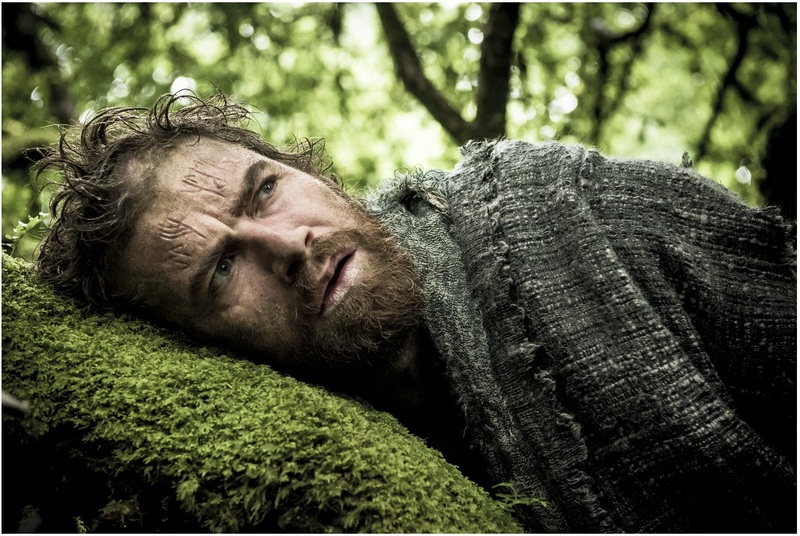 Hugo Speer, Nikolaj Lie Kaas, Stanley Weber, Eleanor Worthington Cox and Ian McDiarmid also star! Our dear Trevor Morris is writing the music! 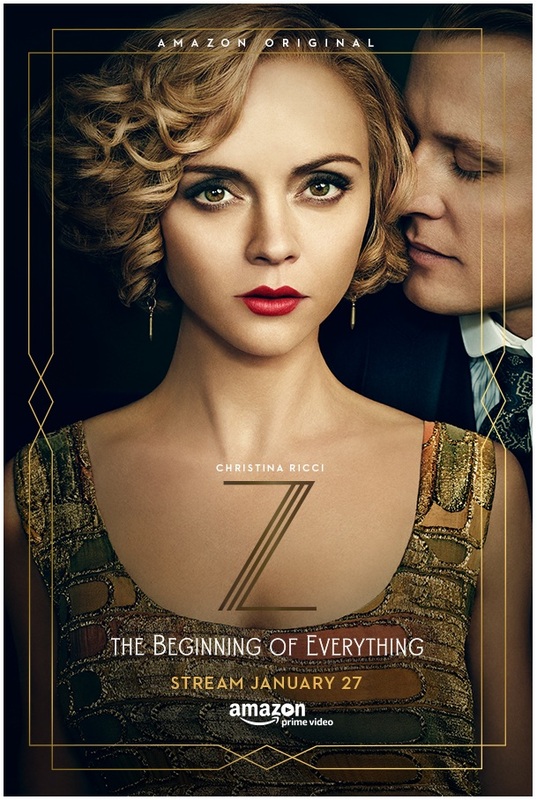 Another period set series with ten episodes has unleashed first trailer and poster today: arriving with all episodes at Amazon January 27th is Z: THE BEGINNING OF EVERYTHING in which Christina Ricci plays F. Scott Fitzgerald's crazy wife Zelda! Young actor David Hoflin plays The Great Gatsby author in the series that follows the pair from their first meeting in Montgomery, Alabama, in 1918 and through their passionate, turbulent love affair and their marriage made in heaven, lived out in hell as the celebrity couple of their time. The series travels through the wild parties, the wicked jazz, the dissolute artists of the era, as well as the alcoholism, adultery and struggle with dashed dreams and mental illness that characterizes their later years. You gotta love historic films! both are series not films :) but we do adore them! Yes, I'm very excited about it, can't wait for a trailer! Rats! I misread your post and thought "Z" was going to be on Netflix. I don't have Amazon, boo hoo. I liked the trailer and love Christina Ricci. Interesting. Christina sure has grown up. I do like Kelly Reilly! Britannia looks like it's going to be good. 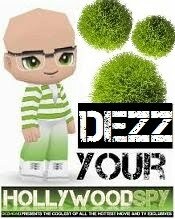 Looking forward to seeing the trailer when it comes out. you will adore the music since it is being written by our beloved Trevor Morris!